Hornby BR 4-4-2T Adams Radial 415 Class - Late BR. DCC Type: DCC Ready, Livery: BR, Purpose: Mixed Traffic, Wheel Configuration: 4-4-2T. 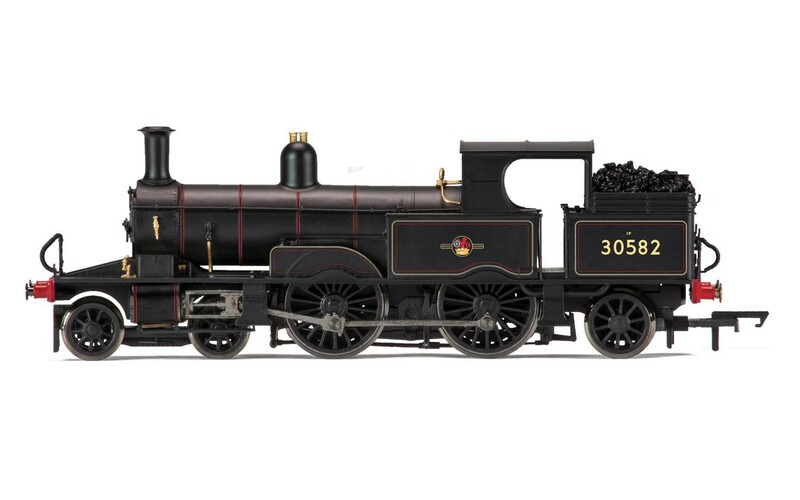 Length: 155mm, Class: 415, Designer: William Adams, Entered Service: 1882, Detail: Diecast chassis and boiler, Motor: 5 Pole Skew Wound, Purpose: Mixed Traffic, Wheel Configuration: 4-4-2T, Special Features: Removable coal load, Sprung Buffers. Suitable Rolling Stock: Rolling stock of the period.